As 2018 draws to a close we turn to 2019 and ponder what will be the next big thing. Will Fornite continue its massive online success or will it be replaced by another gaming phenomenon, just as countless crazes before it? Remember Pokemon Go anyone? No thought not. And will the craze for electric scooters, which started in the US, continue to sweep across the world. One thing’s for sure, technology isn’t going to go away and nor is our need to have fun – especially if the news continues to be as depressing as it has been recently! Here we get our crystal ball out and make some predictions for 2019. Here’s the thing. No one quite trusts Alexa. She’s a bit creepy and there’s always the suspicion that whatever we tell her is being reported back to the CIA – maybe that’s because it is (just kidding, Amazon).But that’s not to say that these clever AI voice assistants will go away. They won’t. If anything, they are going to get more popular. However, they will become more targeted. For example X2 has developed a mental health ‘chatbot’ Tess which uses AI-based text messages to communicate with humans who need to deal with issues such as anxiety and stress. How much longer before we each have a chatbot partner who tells us we’re looking great and are really interesting! For too long electric cars have been seen as a bit specialist. Fine for early adopters who want to show off, but not particularly practical for anyone else. For a start they are still too expensive, their range is too limited and there simply aren’t enough places to ‘fill up’ with electricity. But that’s all starting to change. 2019 will see the arrival of Tesla’s first affordable electric car, the Model 3 (pictured above). Sitting below the Model S and the Model X SUV, it’s likely to be priced from around £35,000. That’s about half of the price of the cheapest current Tesla, and makes it a rival to executive saloons from Audi, BMW and Jaguar. Up until now drones have mainly been seen as dumb playthings. Great for flying overhead, annoying neighbours, pets and maybe filming some interesting footage of the ground. But that’s about it. However, that could change as they develop artificial intelligence. According to a Federal Aviation Administration (FAA) 7 million drones will fly the skies by 2020 which will be used for everything from search-and-rescue to delivery of medicine in remote areas. Researchers from the Massachusets Institute of Technology (MIT) in collaboration with the NASA Langley Research Center have even developed an autonomous fleet of quadrotor drones which use AI to work together to search for lost hikers without the need for GPS. First developed in the 1890s as a kind of automated card game based on Poker, slot machines have spread across the world albeit with different names. Known as a fruit machine in Britain, a puggy in Scotland, and pokie in Australia and New Zealand, it’s fair to say they’ve become a little more sophisticated over the years. But their appeal is still as great as it once was. Unlike old fashioned slot machines, the latest online pokies enable players to enjoy a wide variety of different slots online, unhindered by the limitations of a physical machine. In the virtual world you can create 3D environments so players become part of the action and can offer hidden levels and bonus rounds. VR has been talked about for years but the truth is that sales so far have been disappointing with only around 4% of internet users owning a VR headset. Could this be about to change in 2019? 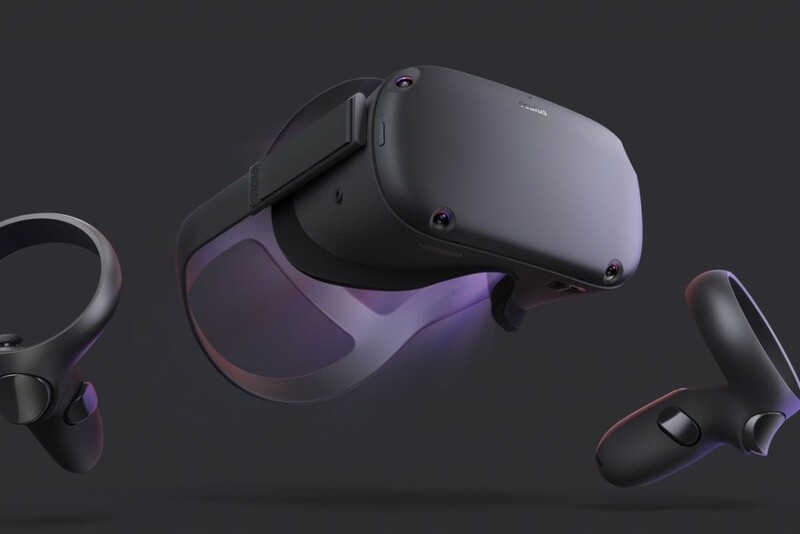 Earlier this year Facebook CEO Mark Zuckerberg announced that a new virtual reality system, the Oculus Quest, will launch in Spring 2019 with a $399 price tag. The stand-alone device will be compatible with existing Oculus software and looks to improve the portability and range of motion tracking for VR experiences. Like the Oculus Go, the Oculus Quest doesn’t require a computer, mobile phone, or external tracking sensors. However it also offers full positional tracking, to understand where a player is standing, crouching, or leaning. OK it’s a little depressing thinking of getting ill but imagine if instead of extensive surgery you could pop a pill that could detect any potential problems before they develop. 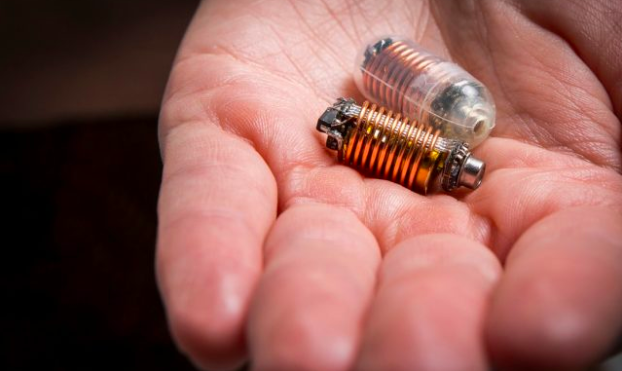 Researchers from Australia’s RMIT University have developed an ingestible sensor (pictured above) that can track gases in the gut. The size of a vitamin pill, it measure gases in real time and can send this data to a mobile phone. The sensors could help to diagnose gastrointestinal issues, including colon cancer, before patients begin presenting symptoms. Clever, eh?